July 13, 2014  Crossword puzzles steer away from diseases. They're too depressing! But they have a habit of sneaking in. Here's a look at clues used by The New York Times for some infamous global health ailments. June 7, 2013  Ask Me Another kicks off SummerStage 2013 with a FREE, live performance at Central Park's Rumsey Playfield on Friday, June 14 at 8:00 p.m. (ET). 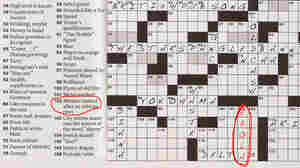 February 24, 2010  Think you're the best crossword puzzle solver around? See how you measure up against the best with the championship round puzzle from the American Crossword Puzzle Tournament.